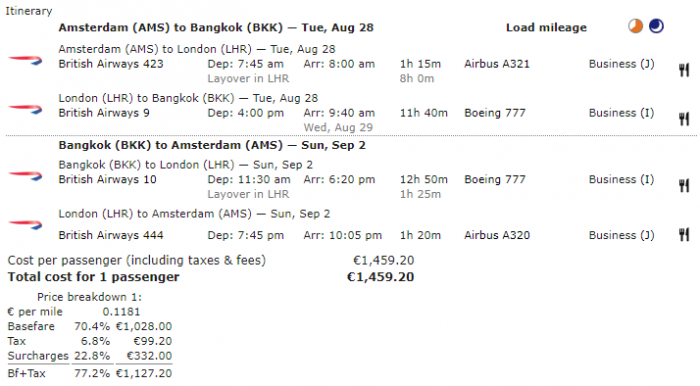 Price: from 1,460 € (from 1,028 € Base Fare + Taxes & Surcharges). Advanced reservation/Ticketing restrictions: reservations for all sectors are required at least 60 days before departure. Stopovers: originating Europe – unlimited stopovers permitted in each direction limited to 2 at EUR 100.00 each and unlimited at EUR 200.00 each. A stopover may not exceed 6 months. Sales restrictions: tickets must be issued on BA or IB. 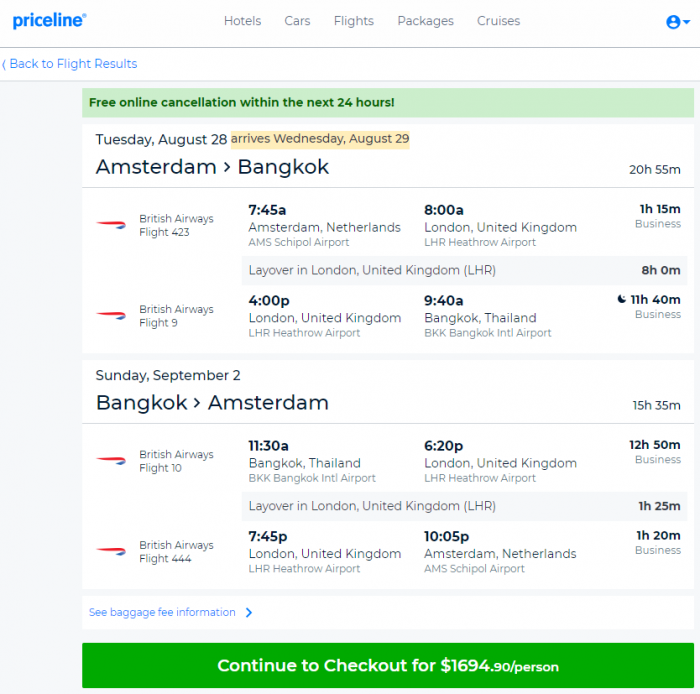 The following accruals were estimated using wheretocredit calculator for AMS-LHR-BKK round trip travel on BA marketed and operated flights without considering any elite status bonuses or ongoing promotions.